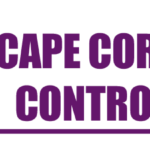 Our company provides pest control services to the Cape Coral FL area. We offer pest control for ants, bed bugs, mice, cockroaches, termites and more. Do not hesitate to get in touch if you need pest control service on your residential or commercial property. We are reliable, efficient, and will show up on time.